Take local bus no. 307 from Dong Incheon Station (Seoul Subway Line 1). Take a ferry from the dock using Sejong Shipping Service (세종해운). The boat will temporaily dock at Samok (travel time: approx. 10 min) before continuing on to arrive at Jangbong Dock after 30 minutes. 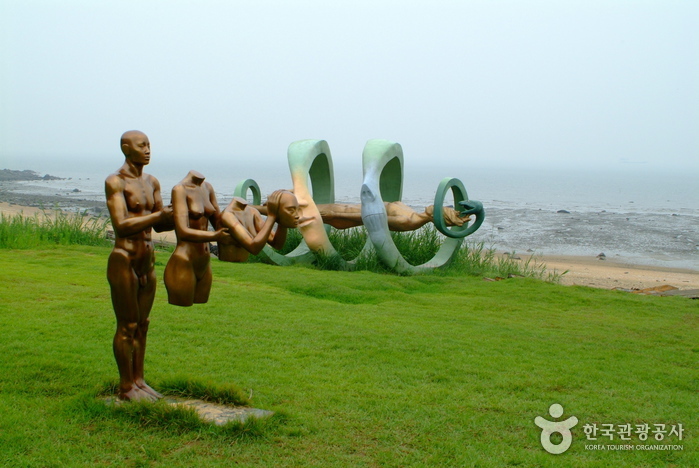 Baemikkumi Sculpture Park rests on Modo Island, one of the nearest islets to Yeongjongdo Island where Incheon International Airport is located. The name 'baemikkumi' comes from the local dialect, as people say the island resembles the shape of a hole normally seen from the bottom of a ship as 'baemit' translates to the bilge, and 'kkumi' is most closely translated to mean 'a hole' in English. The entire island has now become a beautiful exhibition hall of art works thanks to sculptor Lee Il-ho, who originally started and donated his talents for visitors coming to the island. 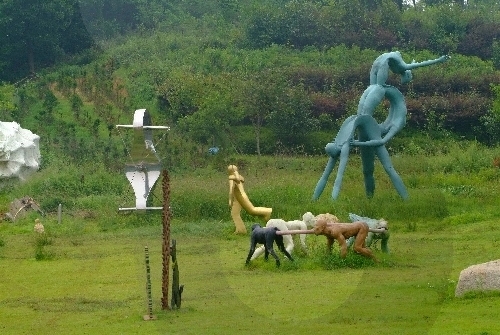 The art displayed on the island makes for an inspiring contrast to Seohae (west sea, or yellow sea) in the background.